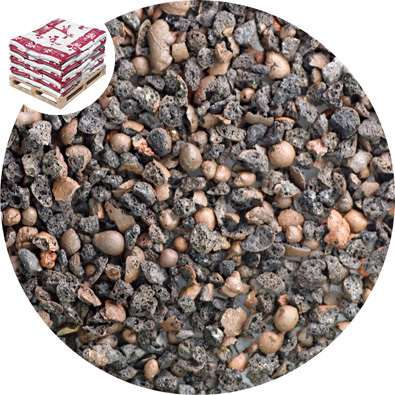 Density: The dry bulk density of Leca® lightweight horticultural grit is approximately 450kg/m3. 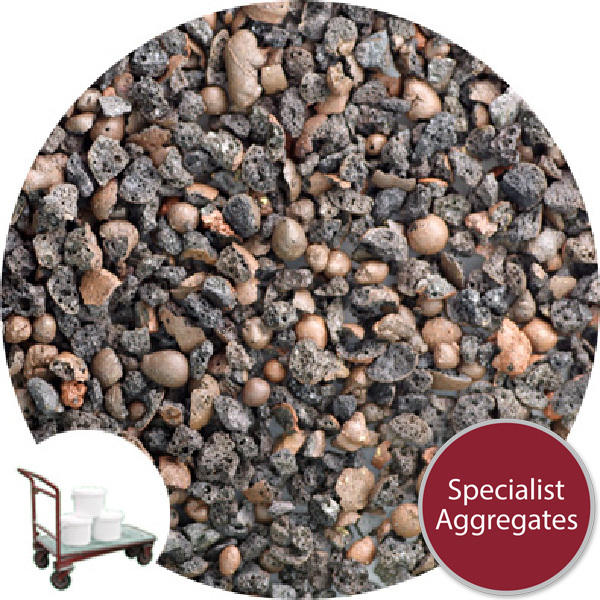 Top quality genuine expanded lightweight aggregate manufactured by Leca®. The product contains a minimum of "fines "allowing for superior drainage and insulation when added to growing media. The product contains both crushed and broken grains of Leca allowing for excellent moisture retention. 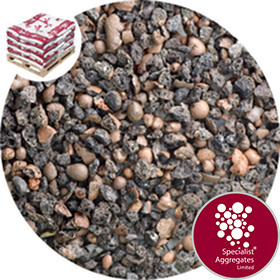 Expanded clay granules are made by pelletising and firing clay in a rotary kiln at a very high temperature. As it is fired, the organic compounds in the clay burn off forcing the pellets to expand and become honeycombed while the outside surface of each granule melts giving a ceramic shell. The resulting granules are lightweight, porous, and have a high resistance to crushing. Being a natural product expanded clay aggregate contains no harmful substances, it is inert with a neutral pH, The granules are resistant to frost and chemicals, and will not break down in water. They are also non-combustible and have excellent sound and thermal insulation properties. This product is offered with no recommendation as to suitability for purpose. Please utilise our single pack delivery service for sampling prior to bulk ordering. Being natural this product it is susceptible to variation in colour and form. 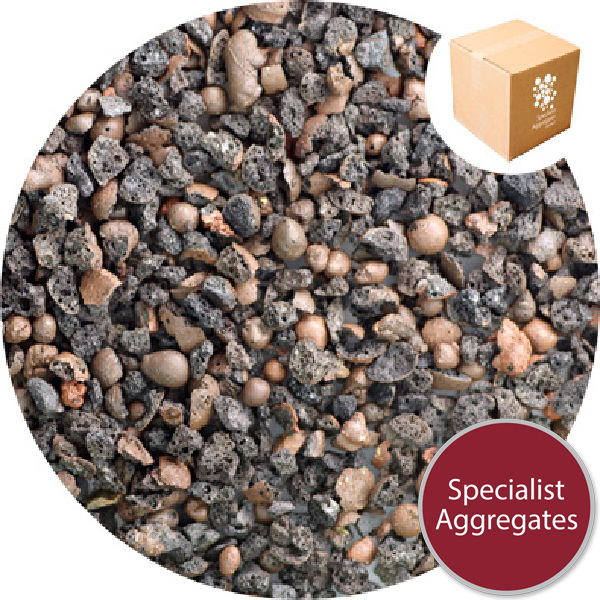 Specify: LECA® Horticultural Grit- Lightweight Expanded Aggregate from Specialist Aggregates.